Life should be awesome, even if your paycheck isn't. Guess what, friends? The awesome Julie from Sweet and Spicy Monkey nominated me for a Liebster Award! What the heck is that? That’s what I wondered. Basically, this is a way for small bloggers to help each other out and let their readers know about some other awesome small bloggers out there who need your love and support. 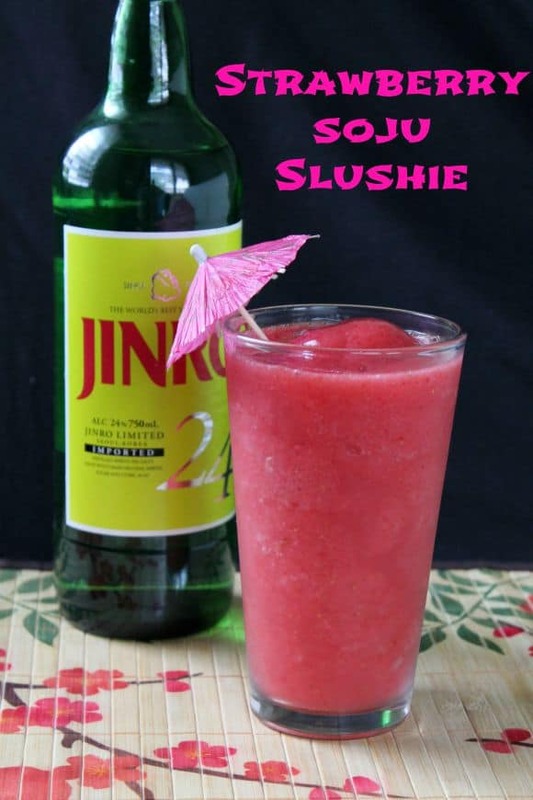 I thought we’d celebrate with a Strawberry Soju Slushie. But first, let’s do this award thing, kids. Julie’s got some questions for me. 1. Why do you blog? I blog because I love it! I have a very busy mind, and my blog allows me to share my love of food and life with no one and everyone. It’s my platform to say whatever I want. It’s also an excellent excuse to make a dessert every week. 2. Where do you see your blog in one year from now? I hope my blog continues to grow and reach a wider audience. I hope more people try my recipes and get inspired to be awesome, regardless of the size of their paycheck. 3. What’s your favorite food to make? I love simple, straightforward food. Cheeseburgers and chocolate chip cookies. Nothing fussy. Just pure goodness. 4. Where is your dream vacation? For a few years now, I’ve had a dream to take a train from Hong Kong to London stopping off and seeing all the world has to offer along the way. Man, I love this planet. 5. Are you a dog or a cat person? I’m definitely a cat person. Cats are independent and opinionated. Sort of like me. They’re also hard-core nappers, which is something I aspire to. 6. Do you like sweet or salty snacks? I definitely opt for sweet whenever I can, but I think a lot of sweets can benefit from a healthy pinch of salt. Never ever skimp on the salt in your chocolate chip cookies. 7. What’s your favorite movie? I am a huge movie lover, so it’s hard to pick just one favorite, but 2003 live action Peter Pan has had special significance to me for a long time. It’s one of the things that inspired me to move abroad where I met my husband, so that was pretty awesome. I love Nigella Lawson. She’s so effortlessly elegant, and she never feels the need to apologize for serving something simple or indulgent. Even though she comes from a privileged background, her food is accessible to the every day home cook. I hope to be a domestic goddess one day. 9. A glass of wine or a margarita? Haha, it depends on what kind of wine. I love riesling. When it comes to margaritas, I prefer them on the rocks and preferably by the pitcher. 10. Are you where you wanted to be now at (your age)? Haha, I’m eternally unsatisfied with myself, so I’d have to answer no. I’m always pushing myself to be better. I also don’t have any intention of growing up. I’m fine with all that, so maybe I am where I want to be. The best part of this Liebster Award is that I get to nominate some of my blogger friends. I can’t wait for you to go check out their sites. Jenni at Mama Plus One has been a huge help to me as I’ve worked on growing my blog. She has lots of great parenting tips and the kind of simple and delicious food I can’t get enough of. Emma at Lily Allsorts has the prettiest little craft blog you’ll ever see. I wish I could be as craft and cute as her. She’s just as sweet as candy. Jessica at Sprinkle Some Sugar shares some beautiful desserts, and her photos are on point! Kaleigh at A Rambling Fancy is a former student of mine, and her style blog is just too amazing. Angela at Shake Bake Party makes the kind of beautifully decorated cookies, cupcakes and other desserts that I could only dream of having the patience for. 1. Acknowledge the blogger who nominated you with a thank you & a link to their blog. 2. 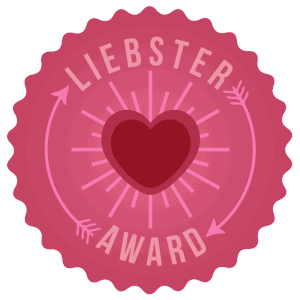 Display The Liebster Award badge on your blog. 3. Answer 10 questions about yourself, which will be provided by the person who nominated you. 5. Nominate 5+ bloggers (with fewer than 1,000 followers) who you feel deserve the award. 6. Create a new list of 11 questions for your nominated bloggers to answer. 7. Make sure you notify your nominees! 1. When did you know you wanted to start a blog? 2. How did you come up with your concept? 3. Who’s your favorite blogger? 4. What book have you read most often? 5. If calories didn’t count, what would you eat? 6. How many hot dogs can you eat at one cook out? 7. If you could go back in time with the knowledge you have now, what would you change about your blog? 8. What are you addicted to? 9. Where do you think you’ll be in five years? 10. What’s your go to order at the bar? 11. What advice would you give to a new blogger just starting out. Woe mama, that was a lot of words. You deserve a Strawberry Soju Slushie. Have you hard soju before? It’s from Korea, and it’s awfully nice. I had it for the first time on New Year’s Eve my first year in Taiwan. That night went a little crazy, but this slushie is 100% rad. Get it! 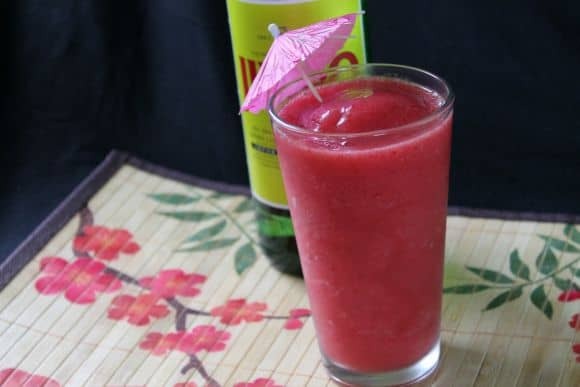 Sweet and lethal, this Strawberry Soju Slushie will definitely keep you cool. Put your frozen strawberries, sugar, and water in a blender and blend until smooth. Add soju and ice and blend until the crunching noise gets quieter. Pour your slushie into two small glasses or one large glass with two straws. Congratulate yourself on a job well done. I love your answers Renee! I prefer my margaritas on the rocks too. 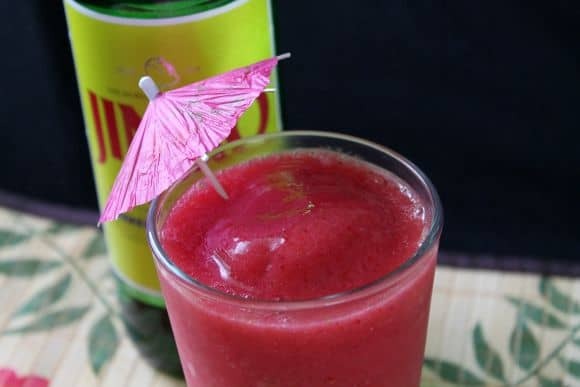 And that Strawberry Soju Slushie sounds refreshing right now. Congrats on your Liebster Award!